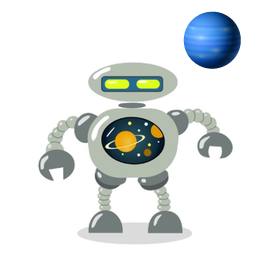 For more information click on?the link to the individual planets. Planets were classified by the International Astronomical Union in 2006 as a celestial body that orbits around a star, such as our Sun and are large enough to form a sphere under its own gravity. Pluto used to also be a planet?for 76 years until it was reclassified as a dwarf planet in 2006. Pluto’s existence was first predicted by Percival Lowell in 1915, and Pluto was discovered by Clyde Tombaugh in 1930. Pluto is now thought to be an object in the Kuiper Belt, a disc-shaped area of icy, dark objects beyond Neptune and has one large moon, Charon, and two much smaller moons, Nix and Hydra. The Terrestrial Planets consist of Mercury, Venus, Earth and Mars, and the Gas Giants which do not have solid surfaces are Jupiter, Saturn, Uranus and Neptune. ?The four Gas Giants can be spilt again into a sub category called Ice Giant which consists of Uranus and Neptune due to their makeup being made up of large quantities of ice and rock.